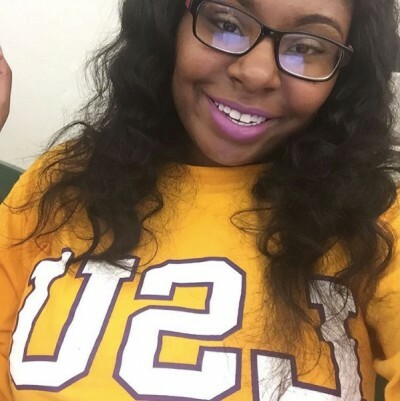 As far back as middle school, Tanara Thomas had her future mapped out: Finish high school, attend Delgado Community College for two years and then transfer to LSU. Growing up in one of the poorest neighborhoods in a city with tremendous high school dropout rates, these goals were ambitious, if not unrealistic. Now polishing off her senior year of high school, Thomas has shelved those plans. She’s going to Wesleyan University in Connecticut, one of the 20 most selective universities in the country. She turned down offers and scholarships from Vassar, Middlebury, Smith, Oberlin and four other schools, several of which paid to fly her in for campus tours. She wants to study English and film. So what happened between then and now? What lifted Thomas’ sights from community college to the country’s most elite institutions of higher learning? It’s been an arduous path for Thomas, a native of the Lower 9th Ward growing up in a single-parent home. At age 10, she survived the destruction of her neighborhood in the flood that followed Hurricane Katrina, spent years moving around Texas before returning to New Orleans, only to be displaced again before she could graduate from high school. But she also came back to a public school system in the midst of a transformation. With most of the district now in state hands, autonomous charter schools — publicly funded but operating independently — had begun opening around the city, many in temporary trailers for lack of habitable school buildings. When it came time for high school, Thomas applied for a spot at a nascent charter in eastern New Orleans called Sci Academy. 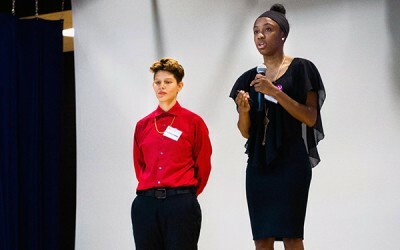 Drafted into a school culture that focuses relentlessly on lifting expectations and getting ready for college, her ambitions grew. Thomas is a flesh-and-blood example of something data show is happening on a broader scale: The city’s high schools, once among the lowest-performing in a state that typically lands at the bottom of the list on U.S. academic rankings, have begun to change. Before the storm, a rigid line divided high schools in New Orleans. A handful of magnet schools with admissions requirements routinely produced glittering results on state exams. One of them, Benjamin Franklin Senior High, won a school performance score of 200.5 the year before Katrina on a 200-point scale. On the other side of that divide, 16 or so open-enrollment high schools did their best to educate those who couldn’t win a magnet seat. Half of them had performance scores in the teens or 20s. All but one, Warren Easton, were “failing” by today’s standards. Hundreds of students dropped out of these schools each year — 185 pupils, or more than 28 percent of the student body, at Joseph S. Clark High School during the school year preceding Katrina. Today the city’s high schools are in flux, governed by a hodgepodge of entities. Some are run by nonprofit charter groups, others by the state’s Recovery School District and still others by the old School Board. By any measure, the city’s high schools as a whole are still marred by dismal test scores and inequity. Campuses managed by the state, rather than a charter operator, remain troubled, with performance scores in the 20s, 30s, and 40s. Dropout rates at these schools in particular are still high. The city’s average ACT score, an important gauge of college readiness, still lags behind the state and the nation. Educators in New Orleans still complain often about a lack of resources to deal with mental illness and homelessness among students, problems stoked by the city’s high rates of violence and poverty. And yet the stark line that divided the city before is beginning to fade. Of the magnet high schools that remained under control of the Orleans Parish School Board, all except Franklin have dropped or lowered their admissions standards without allowing their scores to slip below 100. Meanwhile, new open-enrollment charter schools in the Recovery District are beginning to score in the 70s, 80s and 90s. Some are run by a new generation of education reformers — Sci Academy and Miller-McCoy, for instance — and others by veterans of the old system who now have greater control over what goes on in their buildings: O. Perry Walker, Dr. Martin Luther King Charter and Sophie B. Wright. As more of these schools begin to graduate their first seniors, they’re producing success stories with some of the city’s most disadvantaged students. Irma London, whose mother was shot to death in 2006, goes to King in the Lower 9th and is planning to attend Delgado next year on a scholarship. She lives at Covenant House, the youth homeless shelter, pays her expenses by working almost full-time at McDonald’s and leans on the school social worker for emotional support. London’s senior class, the school’s first, is “like a big old family,” she said. The school had no recorded dropouts last year. At Clark, senior Bertha Johnson described a sudden shift when the Recovery District turned over management to the FirstLine charter group last fall. Johnson said she lives with a friend because her parents are addicted to drugs, and she acknowledged that she was often AWOL in the past, missing as many as 50 days of classes last year and earning mostly Ds and Fs. Tanara Thomas’ path to college began more or less in August 2005, with water rising around her grandmother’s home. Almost seven years later, sitting at the kitchen table after school, she told the story unflinchingly, wearing a grey Sci Academy polo, khakis and a shy smile. Today, she and her grandmother live in half of a small, low-slung duplex on the far edge of eastern New Orleans, just before it turns into marsh. Her mother is still in Texas, and she doesn’t speak much with her father. Thomas and her family decided not to flee as Katrina swept toward New Orleans. Instead, she and her mother Tammara, a family friend and a disabled uncle gathered at her grandmother’s home on Feliciana Street in the Upper 9th Ward to ride it out. They spent days on the second floor of the house eating crackers and waiting for rescue, watching the refrigerator and television bob in water that engulfed the first story. Their own home on Benton Street in the Lower 9th was washed off its foundations; they never found it. Finally a neighbor came for them with a boat. They took refuge briefly on the upper floors of a nearby elementary school, started out on foot through waist-high water toward the Superdome, then caught a ride to the Hilton downtown where they spent the evening without water or electricity. The next morning a bus took them 10 hours away to Grapevine, Texas, a trip that marked the beginning of two years in exile. Having come up through public schools in New Orleans and attended a year of private school, Thomas said she struggled to catch up when she finally enrolled in the sixth grade in Texas. “I knew the schools down here weren’t that great, but when I started going to school out there, it was challenging,” she said. Thomas and her mother moved back to New Orleans in time for the eighth grade. She enrolled at one of the city’s new charters. But the fact that it was a charter didn’t make it a good school. Thomas said only one of her new teachers pushed her academically; others whiled away class time gossiping with students. Things didn’t change until the ninth grade. Her aunt saw a flier for Sci Academy and decided to enroll Thomas’ cousin, Robert. Her mother went along and signed Tanara up as well. The school impressed her immediately by visiting them both at home. 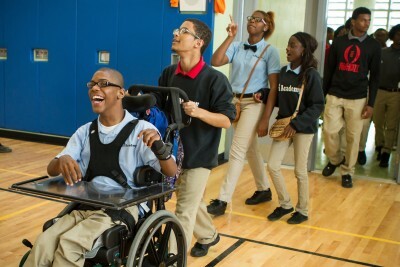 Thomas entered Sci Academy in 2008 with the school’s first group of freshmen. Ben Marcovitz, who has degrees from Yale and Harvard, founded Sci Academy when he was 28. He runs the campus with a zealous focus on self-examination and improvement: a daily gathering of every adult in the building, half strategy session, half pep-rally; weekly coaching sessions for teachers; monthly “data day” meetings to go over test scores and assess student progress. 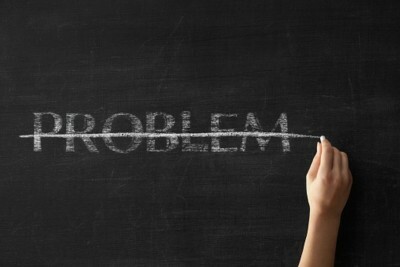 Teachers work 80- and 90-hour weeks, submit to routine classroom observations and constant prodding to do better. Marcovitz scours the country looking for recruits willing to put up with all this, observing them in action, giving feedback and doing follow-up visits to see how well they implement his advice. He pays them as much as 20 percent more than the district average. 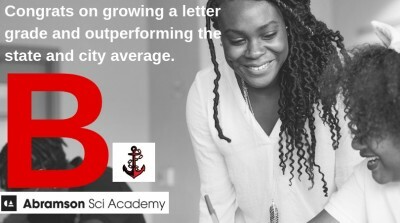 Like many of the city’s new high schools, Sci Academy is smaller than most traditional high schools and students spend all four years in small advisory groups, led by a member of the faculty whose alma mater serves as the group’s name. Thomas got assigned to Ronda Dale-Hart’s advisory, Western State. 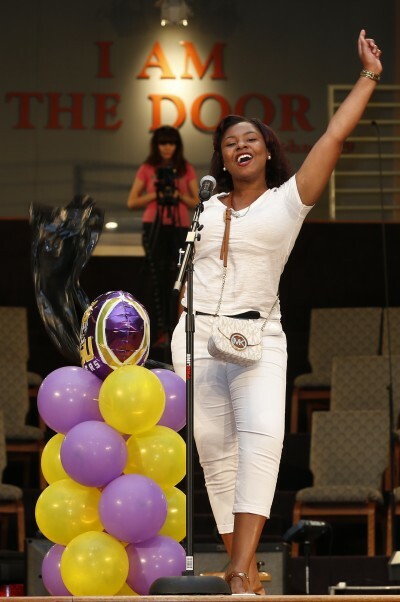 Two things were obvious about Thomas, Dale-Hart said: She was one of the most academically motivated of the first freshman class, and she was frustratingly shy. “It was really hard to crack that shell to get to know her at all,” Dale-Hart said. This past year, Thomas’ goal, developed in advisory, was to speak up during every class period at least twice. 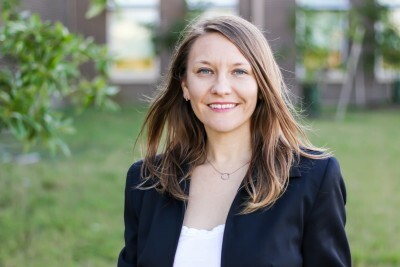 Dale-Hart compared Thomas to the 2003 valedictorian at Alcee Fortier High School, who famously managed to earn the best grades in her class only to fail the state’s graduation exit exam five times and sit out the school’s graduation ceremony. She wrote an impassioned letter to Dale-Hart begging for her old spot back. By then, Sci Academy had built a reputation and had other students lining up for a limited number of seats. But the school put Thomas on its waiting list and she made it back for her senior year, staying with her grandmother while her mother remained in Texas. That Thomas would lobby for her old seat and move across state lines to come back may reflect well on Sci Academy, but it also raises important questions for the school system in New Orleans, questions that have been raised by critics of the charter movement in general. Thomas isn’t the only Sci Academy student to leave before graduating. The school began with a group of 83 freshmen, and only 52 completed their senior year at the school this month. Presumably not all of those who left are as passionate about their education as Thomas. What about the students who landed at a lower-performing school and didn’t notice or mind that they weren’t learning as much? That their teachers weren’t pushing them? In the Recovery School District, students can apply for a spot at any campus in the city; the district has no neighborhood attendance zones, so if students are looking for an easier A, it may still be possible to find it. And ultimately, that kind of self-sorting could inflate how Sci Academy looks in state rankings. Like many charter schools in the city, Sci Academy is indeed a strict place. Last year the school suspended 38 percent of its students at one point or another, state data show. That compares with a state average of just below 10 percent. Morgan Carter, president of the group that runs Sci Academy, argues that none of the available figures necessarily suggest that the school benefits from losing less-motivated or less-apt students. 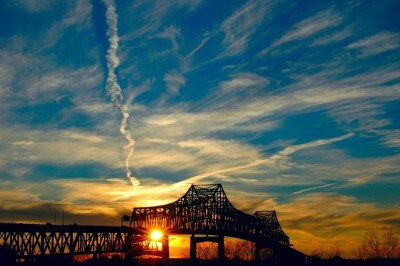 The school provided data showing that only about half of those who left went to other schools in New Orleans. Others moved out of the parish, were held back a year or expelled. And school officials said 65 percent of those who left qualified as “high-performing” based on their eighth-grade test scores. The school also has a higher-than-average percentage of students with special needs, who typically require more resources to educate. Still, Carter acknowledged that Sci Academy’s retention rate needs improvement, and said the school has already started beefing up extracurriculars that were lacking in its first years to try and hold on to more pupils. State figures show the school’s retention rate from one year to the next has climbed and is now better than the district average. In the meantime, though, Sci Academy is beginning to prove that it can get those students who stick it out into college. Thomas is graduating with 51 other students, 96 percent of whom have been accepted into four-year universities. Some of this is thanks to Alexander Levey, the school’s director of college counseling. Marcovitz hired Levey from the admissions department at Wesleyan, and he’s been coaching Sci Academy students on how to pitch themselves to admissions officials. Students describe him as an all-hours helping hand, someone who will field email questions late into the evening, pick you up for your ACT prep class and buy you breakfast. Lately he has turned his college-prep sessions toward getting students ready for what they’ll encounter next year, explaining how to navigate course catalogues and other minutia. This is part of tackling the school’s next challenge: ensuring that Sci Academy students can finish college once they get in, a job that prominent charter networks are just beginning to focus on. The school plans to hire another staff member to visit graduates in college and keep tabs on their progress. Levey said Thomas made an impression during their first counseling sessions. He was ticking off his usual queries — would you mind moving out of state? What about an all-girls school? — and she came back at him with questions about his favorite poets and magazines. Levey said he’s optimistic Thomas will be able to handle his own alma mater. Thomas said she plans to start out with a major in English and will likely focus on filmmaking — not so much out of out of a love of cinema but a profound disappointment with most of what she sees on TV. She has a high bar for good literature. Asked about her favorite books she paused and reached back to Sophocles, giving the ancient Athenian’s play “Antigone” high marks for its realism. Thomas credits Sci Academy for her interest in making movies. She said the school has exposed her to “issues that need to be discussed and addressed in our society,” and made her aware that most TV and film producers fail to use the huge audiences they have to do anything about it.